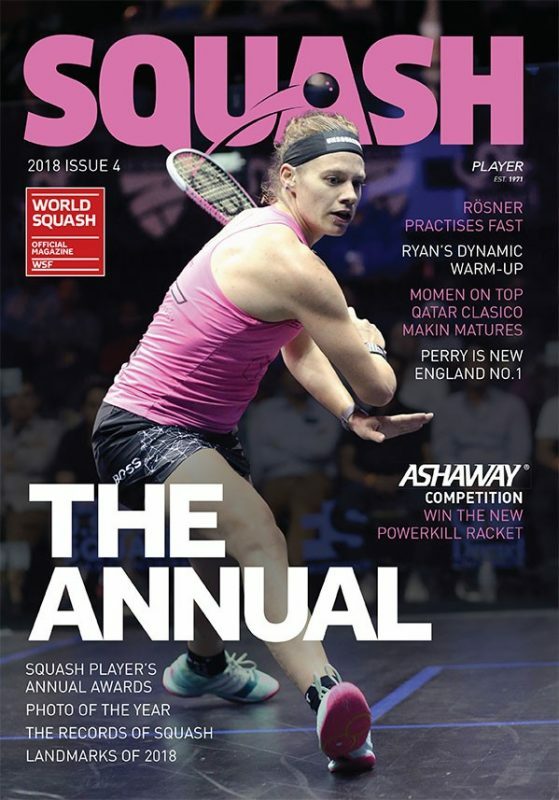 England’s James Willstrop celebrated his new world number one ranking in perfect style in London by beating Egyptian Karim Darwish in the first pool round of the ATCO PSA World Series Squash Finals at The Queen’s Club. 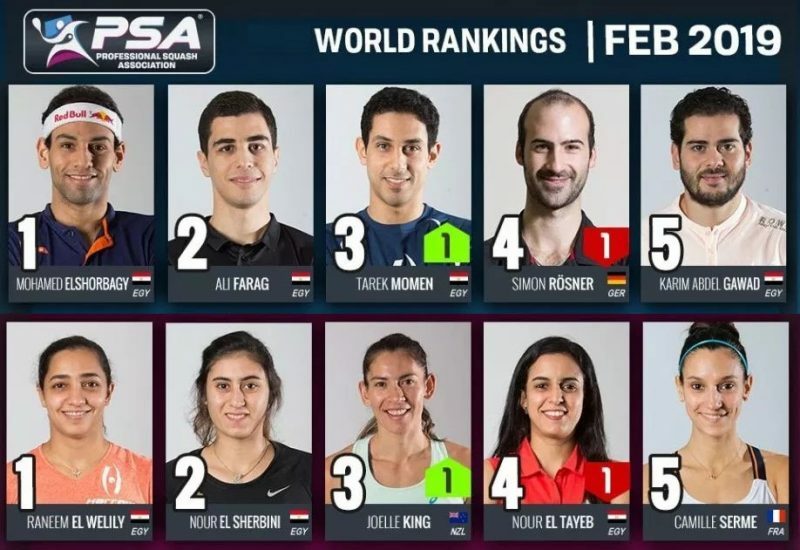 The flagship PSA World Tour event, which features the eight players who earned the most points from the nine PSA World Series championships in 2011, will play three days of pool matches leading to the semi-finals on Saturday and grand final on Sunday. 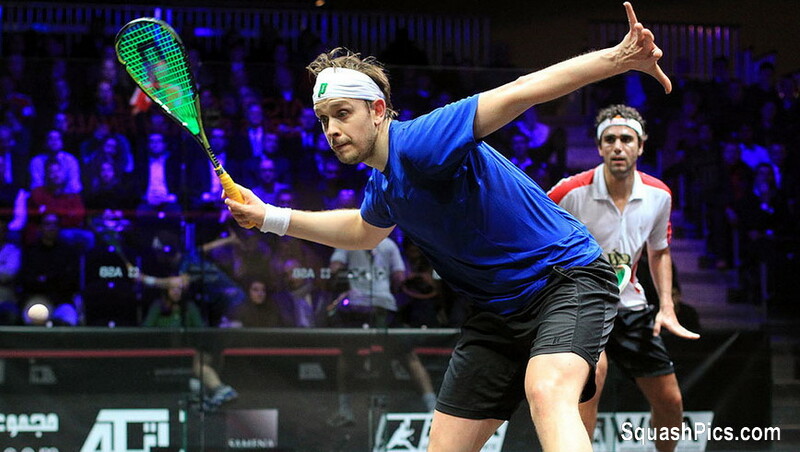 In his first match since topping the Dunlop PSA World Rankings for the first time at the beginning of this month, Yorkshireman Willstrop gave a convincing display to overcome Darwish, the world No5 from Cairo, 11-6, 11-5 in 25 minutes. “It’s phenomenal to be world number one,” said the 28-year-old from Leeds after his tenth straight Tour win over the Egyptian since 2006. “The way I played at the end of 2011 to earn the ranking – I couldn’t have hoped for more. 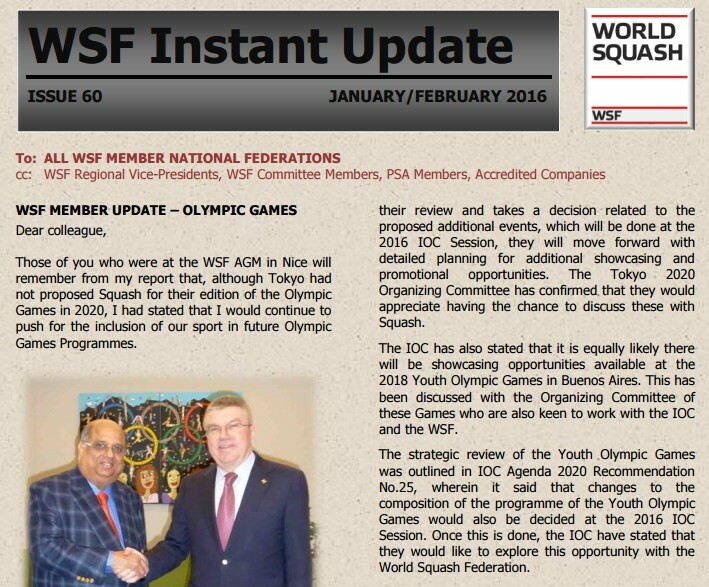 “I had a good rest over the Christmas break and felt relaxed coming on to court. Karim and I have had so many matches in the past – it’s just great to beat a top player 2/0. In the other match in Group 1, Egyptian Mohamed El Shorbagy despatched fellow World Series Finals newcomer Mohd Azlan Iskandar, the world No10 from Malaysia, 11-7, 11-5 in just 22 minutes. 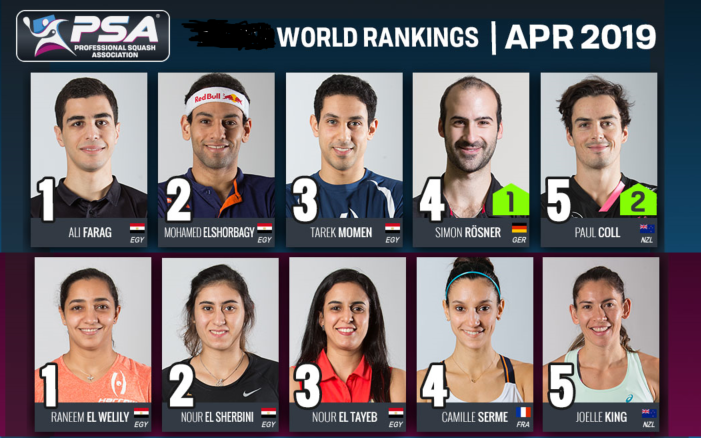 El Shorbagy was a late addition to the field after the withdrawal of fellow countryman Ramy Ashour, the 2007 champion. The 20-year-old world No6 from Alexandria is a student at the University of the West of England – and had to sit an exam this afternoon in Bristol before racing back to London to play his opening match! There was further Egyptian success later in the evening when four-time world champion Amr Shabana fought back from game down to beat Londoner Peter Barker, the world No7, 7-11, 11-8, 11-7 in 45 minutes. 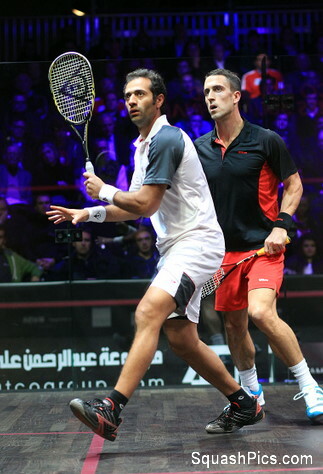 Shabana, at 32 the oldest player in the field, is making his eighth successive appearance in the World Series Finals. 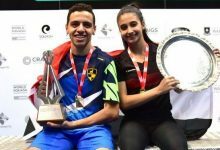 Despite reaching the final both in 2008 and 2011, the mercurial former world No1 from Cairo is looking for his first title – and success at Queen’s would mark his first ever title triumph in England. 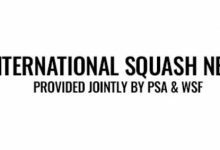 In the other Group 2 match, Gregory Gaultier demonstrated some excellent pressure squash early on in the first game and had Dutch opponent Laurens Jan Anjema struggling right from the start. 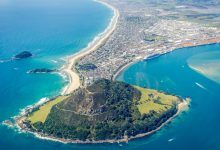 The Frenchman’s powerful lengths were forcing loose balls from the Dutchman, and Gaultier looked under no pressure to give up his comfortable spot on the tee. The second game was closer however, and Anjema was able to force Gaultier to a tie-break after a marked improvement in his length and width. The world No3 from Aix-en-Provence – a finalist in all three previous appearances in the event and twice a winner of the title – always looked the more dangerous on the attack though, and closed out the match 11-5, 13-11 after 40 minutes. 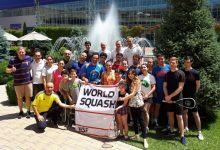 In its first ever competitive appearance at an ATCO World Series Final event, the newly rebranded WSA (formerly WISPA) saw eight of its top professional players battle it out in the first round of group stage matches. 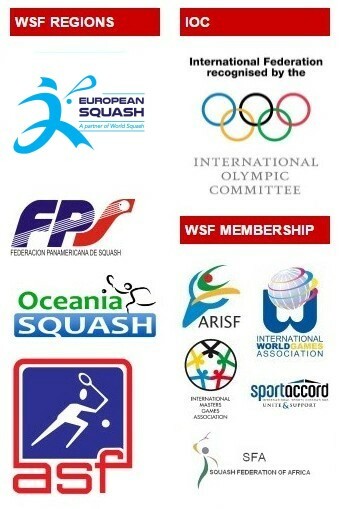 Split into two groups, the World Series Final event looks to emphasise the sport’s aggressive and dynamic qualities by enforcing the ‘best of three games’ rule in order promote a more attacking style of play on the ATCO glass show court. Group A pairing, Madeline Perry and Donna Urquhart were first onto court this afternoon. World no3 Perry started well, climbing to an 8/4 lead against her Australian opponent before closing out the first game 11-7. In a similar run of form to the first game, she led the second 8/2 with Urquhart unable to respond with a successive run of points. The Irish international closed out the match in 18minutes, 11/7, 11/6. 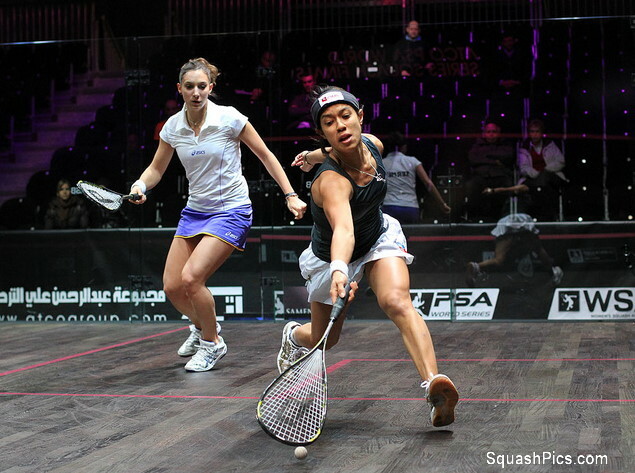 Also in Group A, World Champion Nicol David showed the kind of form that makes her the favourite to win the WSA event, as she dispatched Camille Serme of France in 17minutes. The Malaysian never allowed Serme into the match and a comfortable scoreline of 11/6, 11/6 is evidence of David’s desire to progress through to the final stages of the event, to be broadcast live on SkySports this weekend. 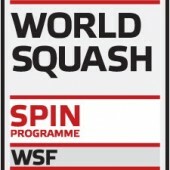 The first Group B match was contested by an all-English pairing. 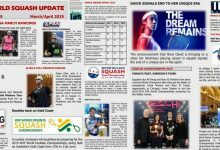 Jenny Duncalf and Laura Massaro clashed a number of times in 2011 with the higher seed Duncalf winning only once in four, though she did claim the last battle in the World Open quarter-finals. Massaro started the sharper of the pair winning four points on the bounce to extend an 8/4 lead and closing out the game 11/5. The World No2 responded well though, capitalising on some lose front-court play from Massaro to claim the second game 11/6 and force the first three-game match of the tournament. 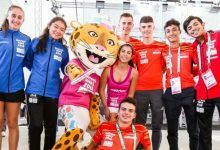 Duncalf continued her punishing form into the third game, despite a stern effort from her opponent, and pulled ahead at 6-all to claim five points in a row and the first win in Group B. Experienced Aussie, Rachel Grinham then faced Low Wee Wern of Malaysia in the final WSA match of the day. Wern came from behind to surprise Grinham in the first game, coming from 5/9 down to win 11/9. A refocused Grinham came back to court and leapt to a 6-point lead before closing out the second game 11/8. She then fought her way through a close third game and despite taking a nasty looking fall into the front of the court, finished the match 11/9.